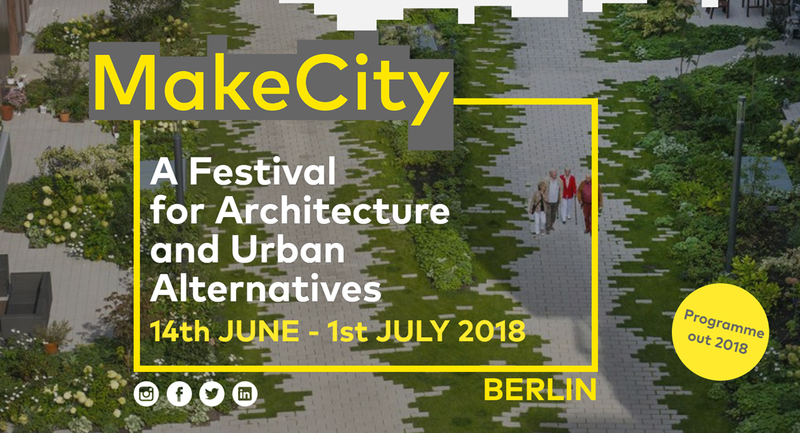 MAKECITY 2018 – BERLIN REMIXING | STADT NEU GEMISCHT is a city-wide international festival for architecture and urban alternatives, spanning over 17 days and featuring over 120 events: exhibitions, workshops, urban tours and studio talks, along with 9 days of conference programme at the festival centre. On the 29th of June at MakeCity 2018, Bart Brands will join the panel discussion on the topic of Green infrastructures, its facets and meanings from an international perspective. He will share examples from his extensive range of work. Green infrastructure has become a much-discussed topic in landscape architecture in recent years. But what exactly does this mean? What is new in this discussion? Green infrastructure includes many aspects that traditionally belong to the field of landscape architecture. What is unique is the emphasis on the resilience of green systems and the resulting need to adapt “grey” infrastructure. We will discuss the importance of green spaces within the city as a fundamental necessity of urban life; green space as social space; and its role as a tool to mitigate climate change.